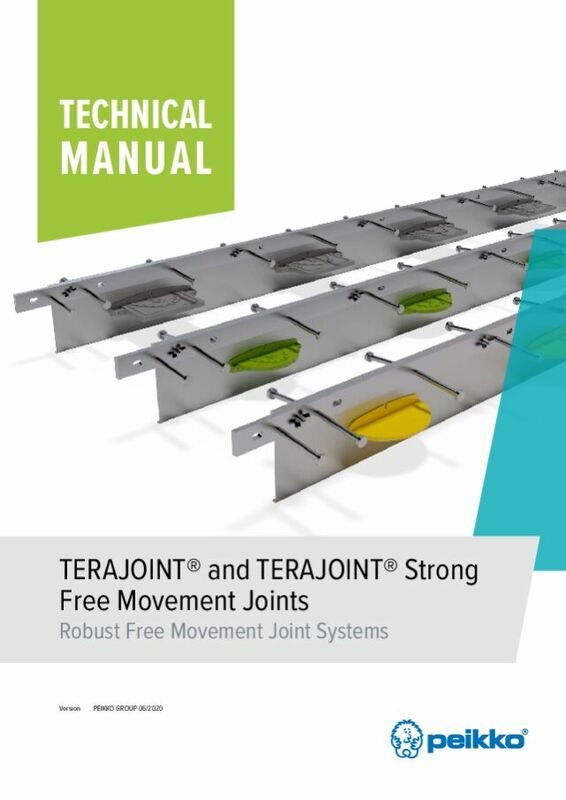 TERAJOINT® is a prefabricated leave-in-place joint system designed to build formed free-movement joints, consisting of heavy-duty arris armoring, permanent formwork and a load transfer system. 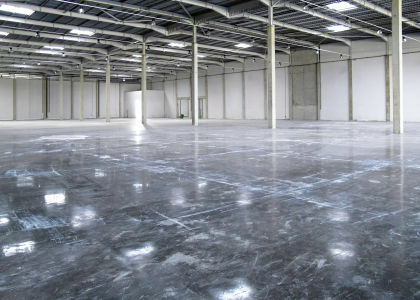 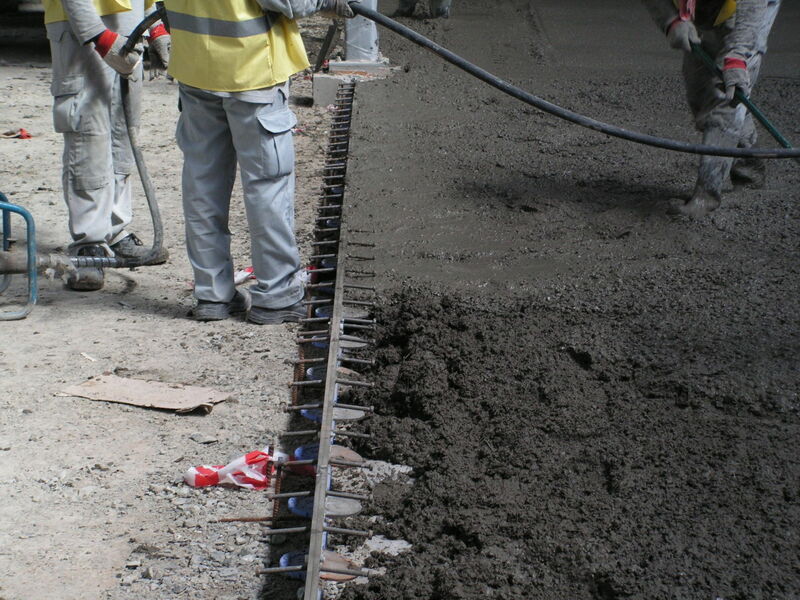 It is suitable for all large-area construction methods for ground-bearing and pile-supported concrete floors. 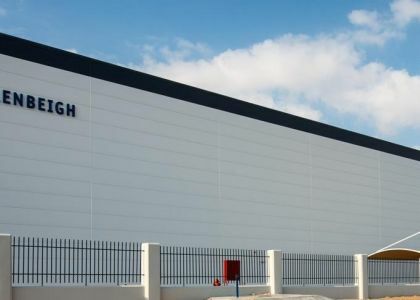 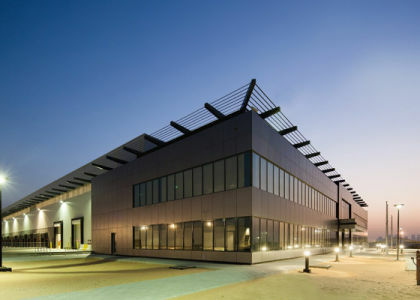 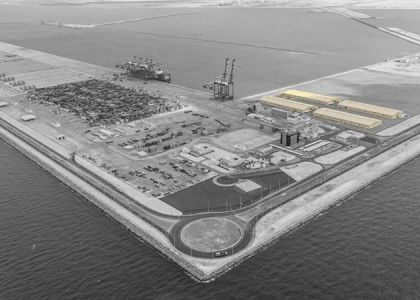 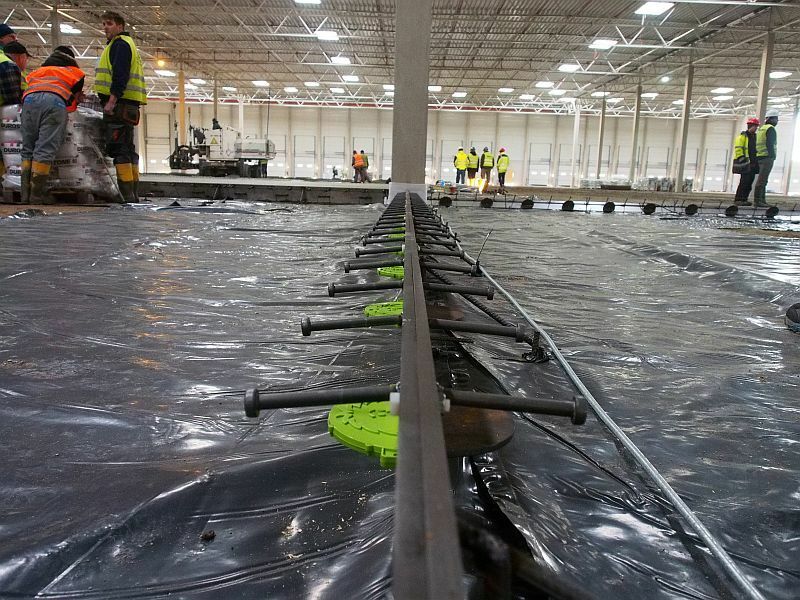 TERAJOINT® is the industry standard in the range of prefabricated heavy-duty movement joint systems for high flatness category industrial floors. 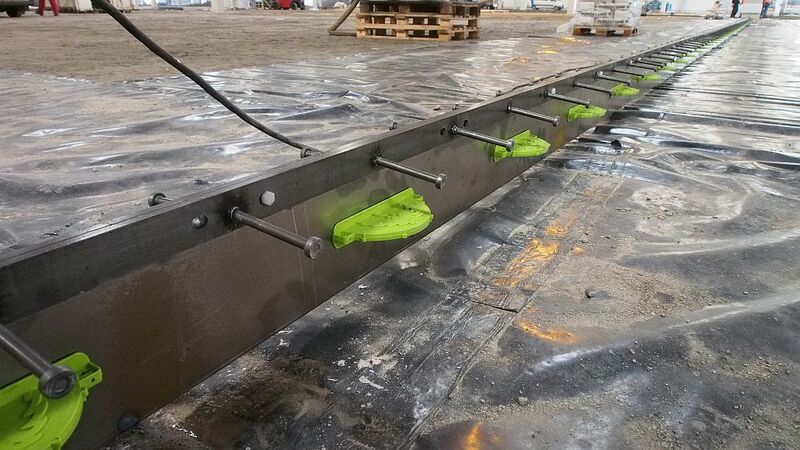 TERAJOINT® transfers vertical loads between adjacent slabs and minimizes the vertical displacement of the slabs. 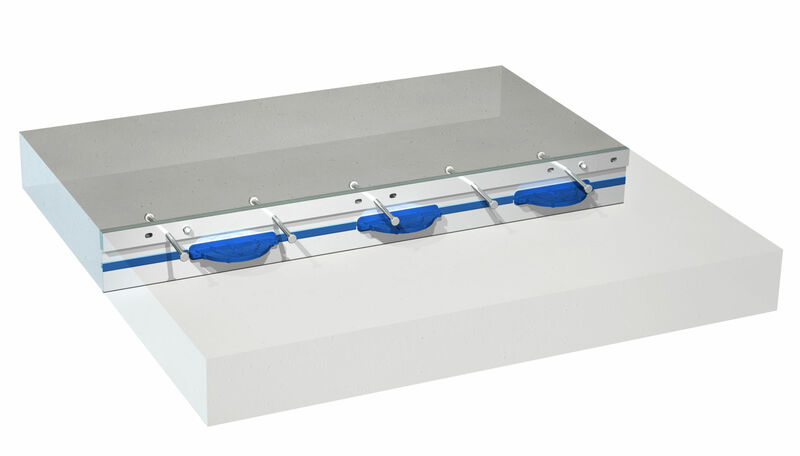 The load transfer system is accomplished by utilizing high-strength steel discrete plate dowels, moving within rigid plastic release sleeves. 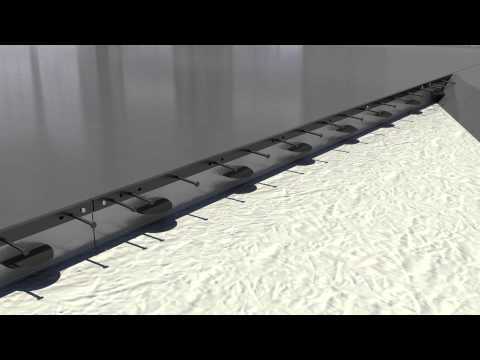 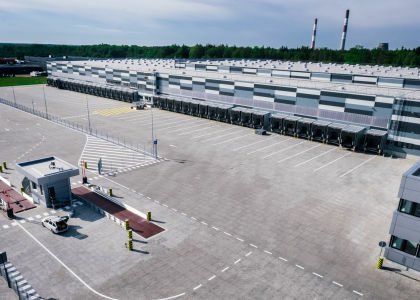 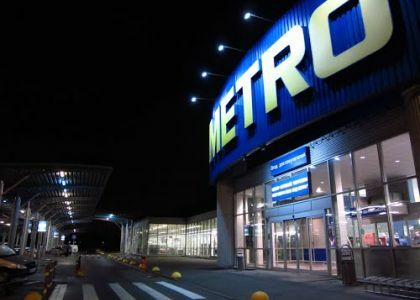 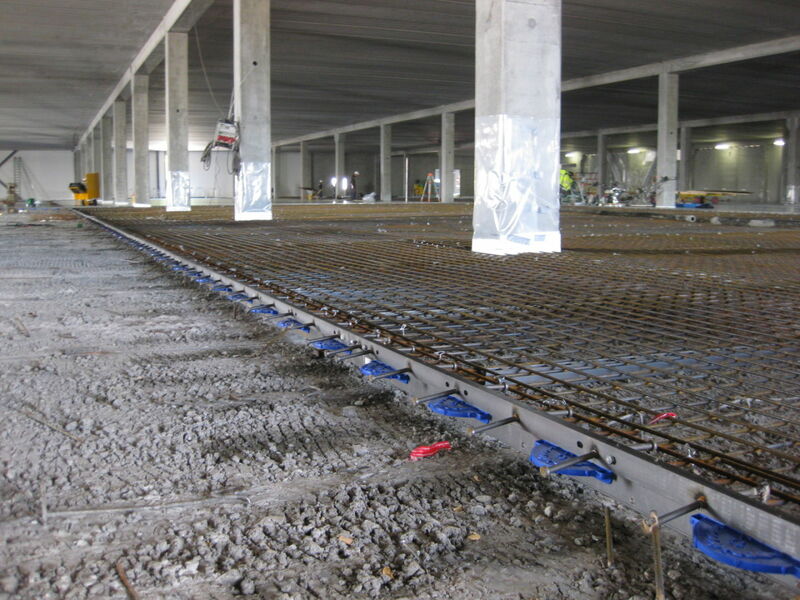 The cold drawn steel rails provide extremely durable protection to the slab arrises, making it ideal for floors in a heavy-duty traffic environment. 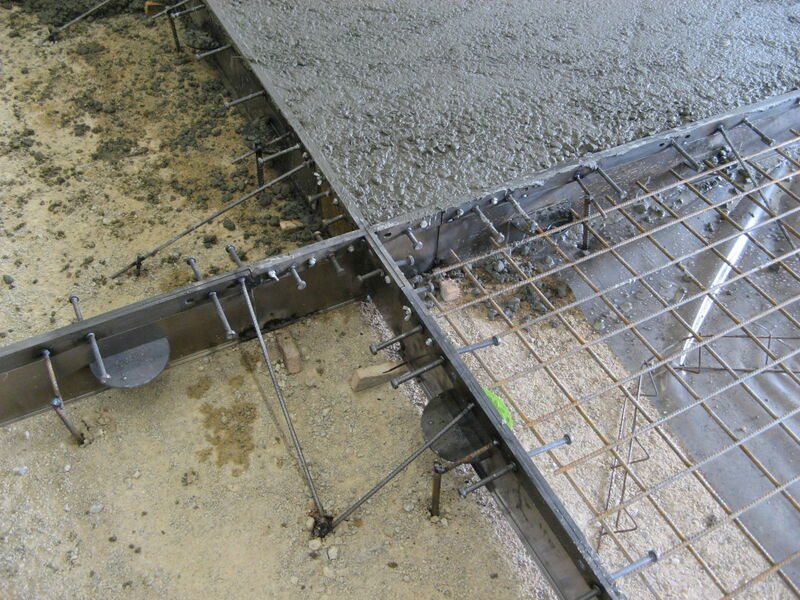 The system ensures reliable load transfer in formed free-movement joints with openings up to 20 mm wide, and it is suitable for slab depths from 100 mm to 300 mm. 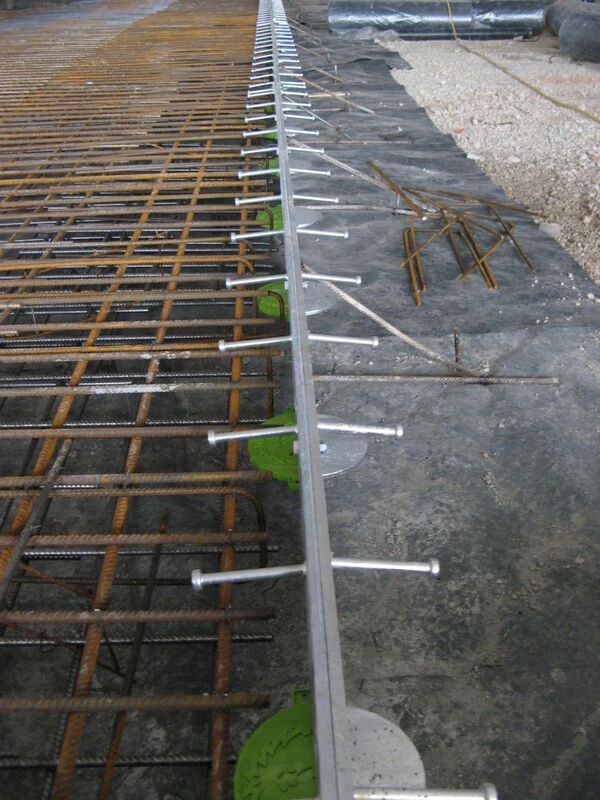 TERAJOINT® can be supplied with different types of plate dowel systems. 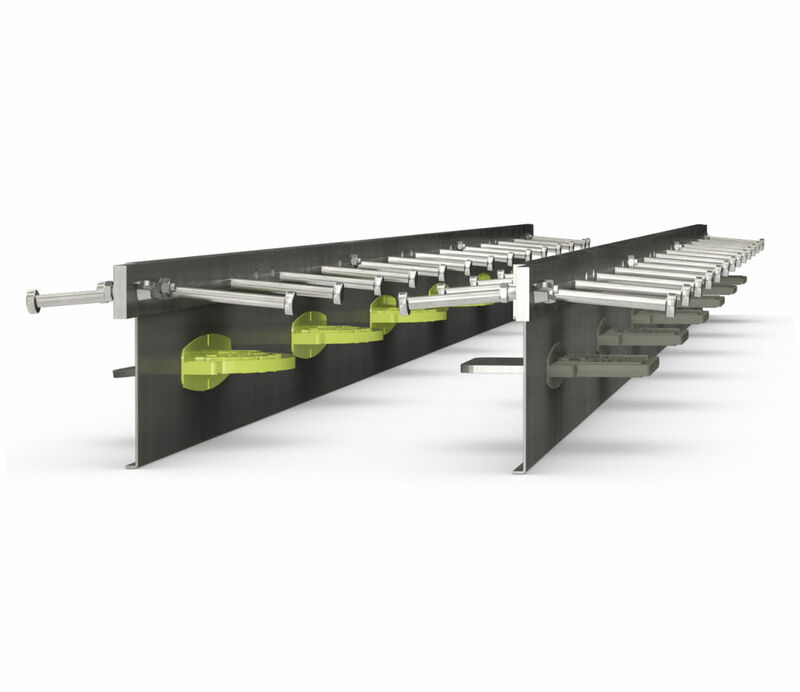 TERAJOINT® is available in plain steel, hot-dip galvanized finish or stainless steel, which means that the system offers a solution for all operational environments. 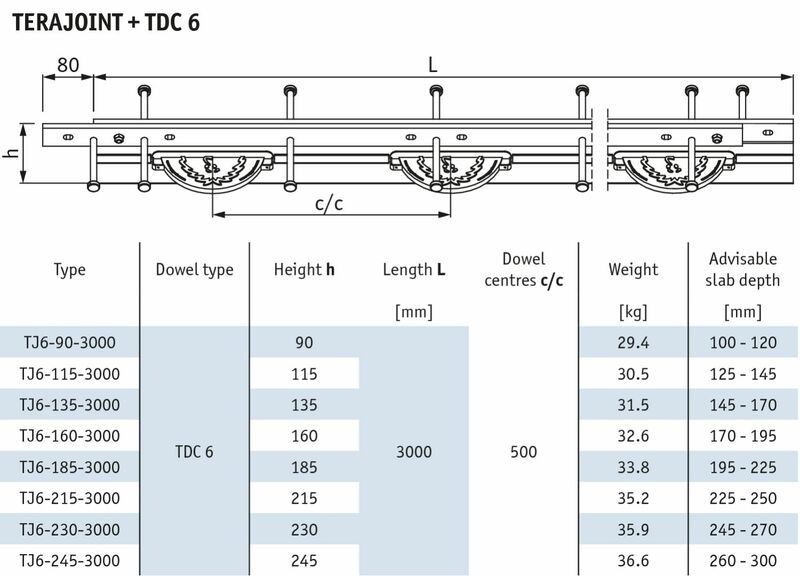 TDC 6 is a circular dowel system recommended for joint openings up to 15 mm. 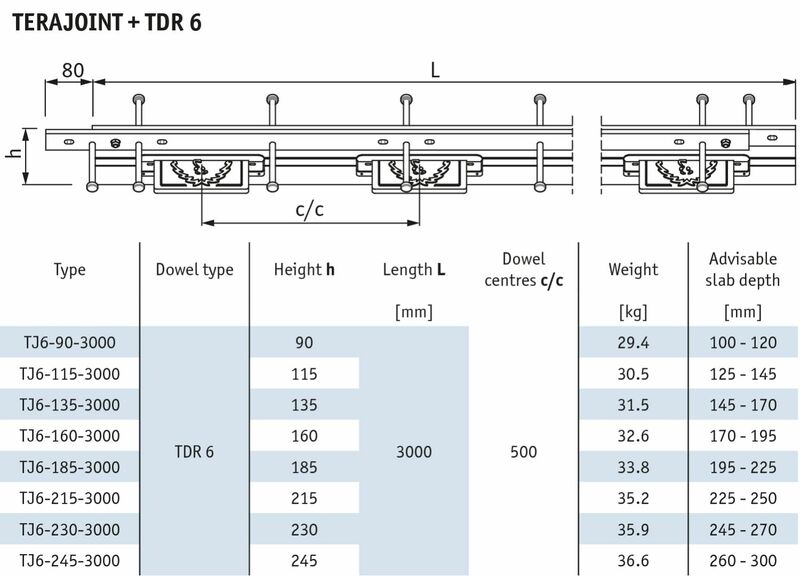 TDR 6 is a rectangular dowel system designed for construction of ground bearing expansion free movement joints with 15 mm initial joint opening. 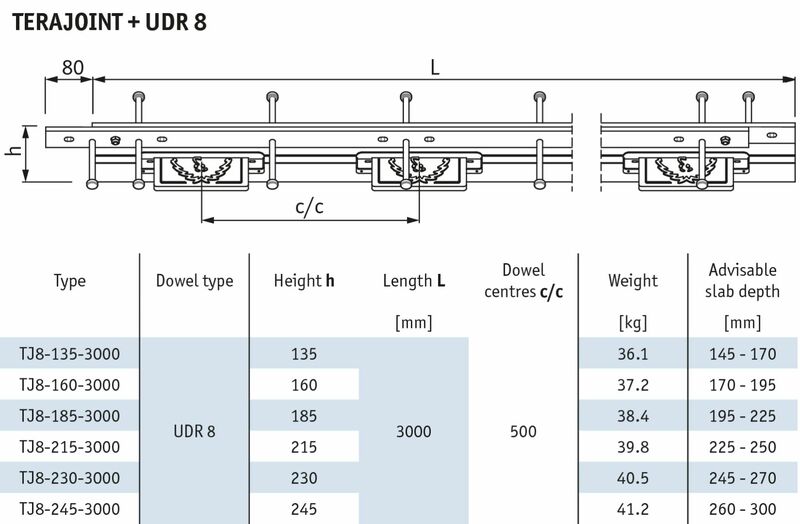 UDR 8 is a rectangular recommended for joint openings from 15 to 20 mm wide and for pile supported slabs.